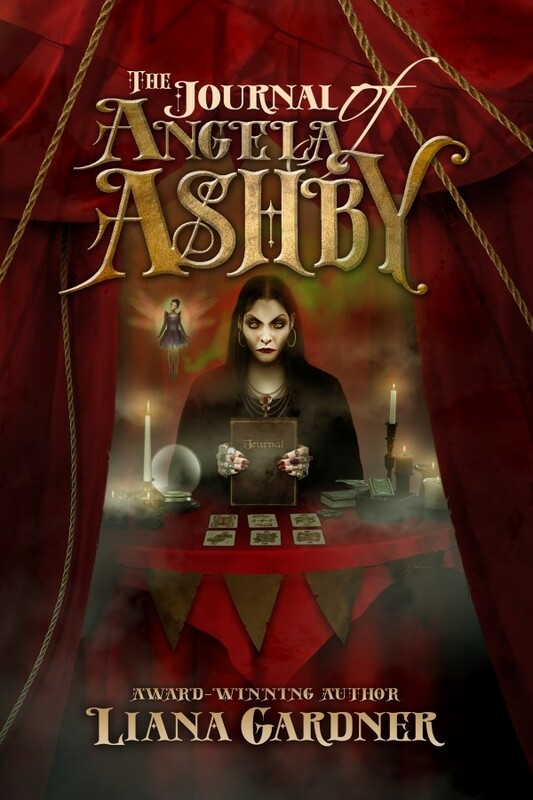 Spotlight on The Journal Of Angela Ashby (Liana Gardner), Plus Interview, & Giveaway! Today we're excited to spotlight The Journal Of Angela Ashby by Liana Gardner! Read on for more about Liana and her book, an interview, plus a giveaway! 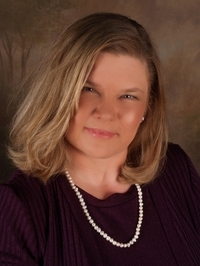 Meet The Journal Of Angela Ashby! I was in the middle of writing another book, the story absolutely pouring out of me, when this girl character marched up and said, “My name is Angela Ashby and you’re going to write my story.” At the time, I had no inkling what the story was about, I knew the main character’s name and nothing else. Mentally, I told Angela that she was interrupting, it wasn’t her turn yet, and to go get in line. I’d have to say when it was time to work on the book, Angela was still the driving force. She had a story to tell and I was the journalist to capture the story for her. Oooh, I have a tough time picking just one … but I can narrow it down to two. Angela’s best friend, Mallory, has a special place in my heart. I like the way she thinks and her approach to life. Then there is Tatiana, or T as she is later called, the farting fairy. She is a character who came onto the page and refused to leave when she was supposed to … and I’m delighted she stuck around. She immediately attached herself to Mallory, so I always think of them together now. T is definitely a fan favorite so far. I had to think about this one for a bit. Without giving anything away, it is the scene when Mallory figures out what is making Tatiana fart and why fairy farts stink instead of smelling like crushed rose petals. The reason I am proud of the scene is that it comes toward the end of the book and the entire time writing the book I knew I needed an answer to that very question, but had no idea what the answer was. When I got to that scene, the answer dropped into my lap and fit perfectly. I am proud that I didn’t allow NOT having the answer to stop me from writing and that I trusted my characters to provide what I needed to know when the time came. There are so many things I’ve learned and many more to learn, but I think the most important thing I have learned is to honor the writing process and trust my characters. It may seem odd, but when in the drafting process, I used to try to take control of the process and tell the characters what was going to happen in the book. Well, my characters have never stood for that! So I have learned to listen and to follow their lead and they will direct me to the story they are telling. Sometimes I have to listen long and hard, and sometimes I cannot type fast enough trying to keep up with the information they are giving me. What I mean by honoring the writing process is that when my characters give me information about who they are or a scene in their story, I will stop and take notes and capture things so I don’t forget later on. I absolutely love the cover. It was illustrated by Sam Shearon (who also did the interior illustrations) and he did a fabulous job of capturing the tent of the mysterious fortune-teller. But I’d have to say I like the fairy (and her green gas) the best. That and a little “Easter Egg” Sam threw in … if you look closely, the second finger of the hand closest to the spine has a ring on it with the publisher’s V logo. My next book out (2019) will be a darker Young Adult novel called Speak No Evil, about a sixteen-year-old girl in state mandated therapy because she stabbed a classmate, but doesn’t communicate and the judge wants to hear her side of the story. My current work in progress is a Middle Grade series (Homeless Myths Series). Five homeless kids struggle to survive the streets of Los Angeles and unwittingly wind up as key players in a life and death struggle to give humanity a second chance. Since the last book I finished writing was Speak No Evil and it has a main character who refuses not only to talk, but to communicate at all, I’d say Melody Fisher takes top marks for being the most problematic character I’ve dealt with. Because for a while she refused to communicate with me as well. So it took me a little longer than my “normal” writing time (if I even have a normal) to complete that book, but I will say it was worth the time and effort. Ultimately, with as much trouble as Melody was to deal with in the beginning, it is a book I look at with extreme pride and cannot wait to share it with the world. Really tough call. I love the magic of the drafting process, getting to know the characters, their stories, and being surprised at where we wind up. BUT as much as I do love drafting, for me I think the revision process is even more satisfying. Why? Because it’s where I take the lump of clay left by the drafting process and fashion it into (hopefully) a beautiful work of art. Getting rid of the garbage in the draft is very satisfying and molding and shaping the final product makes me happy. It’s like the difference between excavating a diamond from a mine (the drafting process) and cutting all the facets into it so it sparkles and shines (the revision process). One winner will receive a signed copy of The Journal of Angela Ashby and a signed copy of 7th Grade Revolution, a deck of book-themed playing cards for each novel, and a Be the Cat mug with Malachite the cat character from The Journal of Angela Ashby on the side. The cover is very attractive and definitely will catch the eye of YA readers. I already had this book on my to-read list. Good luck with the novel. This novel sounds great, and I love the cover! The cover is creepy and matches this suspenseful synopsis well. The cover is very spooky and the story sounds interesting and suspenseful. Love everything about this! The cover is amazing and the synopsis sounds so good! I can't wait to read!